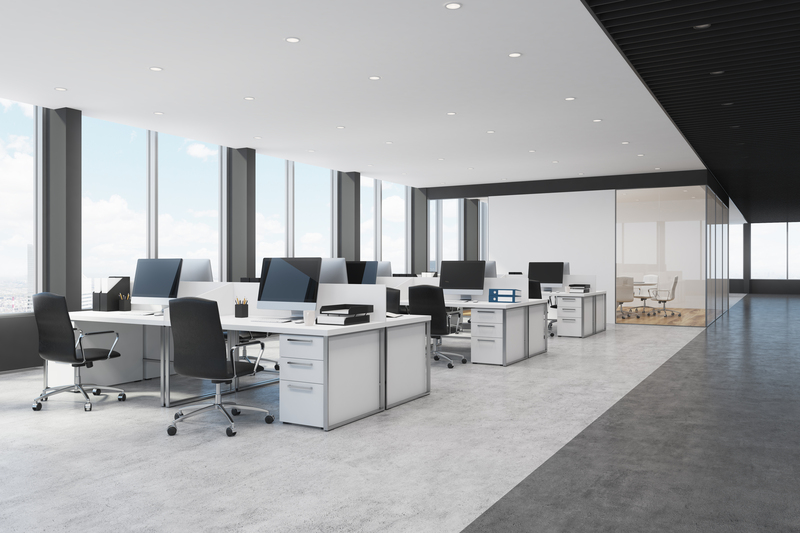 From claustrophobic, tightly-packed offices to open plan and collaborative workspaces, the stereotypical office has been subject to quite the change over the past few decades. What once was an office filled with endless piles of paper documents is now a much more efficient place with technology providing much of the storage space, which makes for a tidier and more organised office. Although offices are keeping up with technological advances, it seems the younger generation of today can’t cope without a device in their hands. It’s the modernisation of university designs that have set today’s generation with similar expectations for their workplace; and it may be that these people could not operate in an ‘old-fashioned’ office since they are so used to working in a technology-based environment. Take the earliest modern offices of our time. Office layouts were rigid and were designed to seat rows of workers, packed in tightly. The early 20th century, however, saw a short-term shift to open plan office design; however this was subject to controversy, since human and social values were not taken into consideration and managers were solely focused on gaining maximum productivity from employees. Over time, large commercial buildings were developed, and it was this which saw an increased variety of workspace types, with a mix of private offices and open plan workspaces. In some cases, there were even canteens or staff kitchens incorporated. The early 1960s introduced a more democratic layout into the workplace, which emphasised human interaction and collaborative work. Unlike the earlier 20th century, the design was flexible and more emphasis was placed on employee needs and wellbeing. This lead to the workplace being far more social and open, with organic plants used for privacy rather than unsightly partitions. The 1980s saw a 360-degree turn in office design. In ‘cubicle farms’, employees were confined to a very small, enclosed space in which they could not see nor interact with anybody else. Cubicles were lined up back to back in a maze-like fashion, with walls almost as tall as the ceiling. 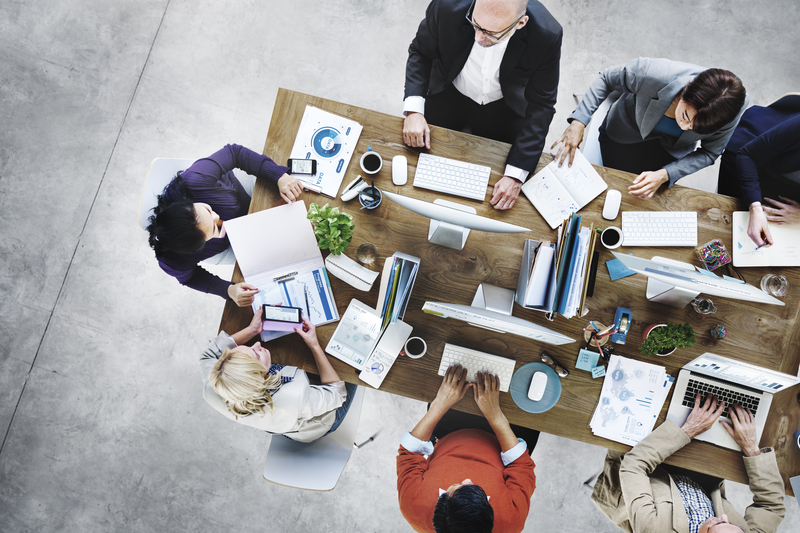 As technology developed, employees were given the opportunity to work from almost anywhere in the office, never being confined to one space – namely ‘hot desking’. 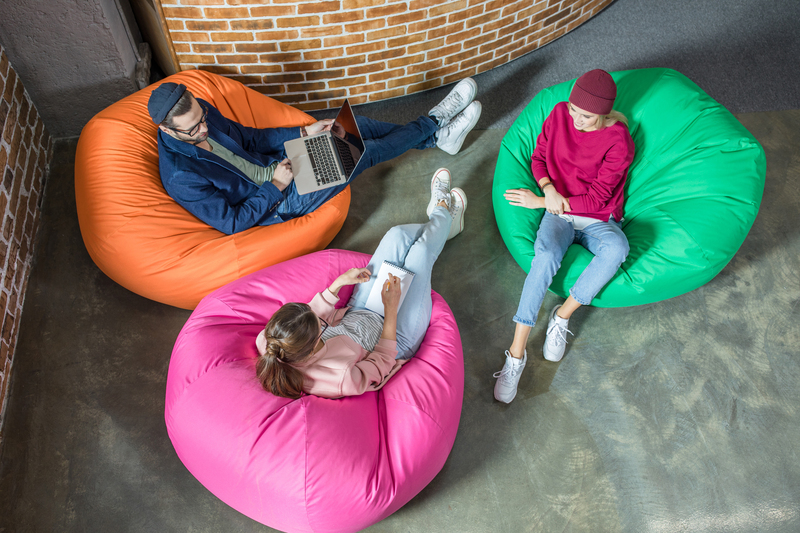 The influx of technology also led to the creation of new office design norms, introducing more colourful and engaging spaces with a higher variation of furniture – such as beanbags. With this increase in variety, it also became essential that any fitted technology was designed in a way that they fitted neatly in with existing furniture for a streamlined design. Technology also began to be used for interactive purposes, with screens and digital whiteboards used for collaborative work. 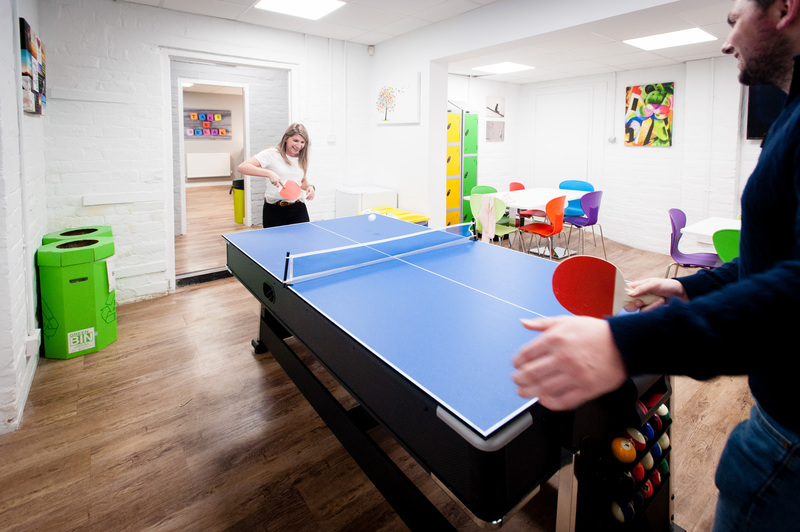 More recent years have emphasised the need for leisure areas in the office to enhance employee wellbeing, and has seen the likes of pinball machines and tennis tables installed into office spaces for entertainment. Today’s workplace is very much inspired by the home, creating a space in which employees feel comfortable and motivated. This is commonly achieved through the use of warm colours, varied lighting and cushioned seating (such as armchairs and sofas). With higher importance placed on employee wellbeing and happiness, employers have come to realise that a more physically attractive workplace will entice the best of talents. Along with home-inspired pieces, biophilic design has also been on the rise, with the force of nature and human senses as the inspiration. 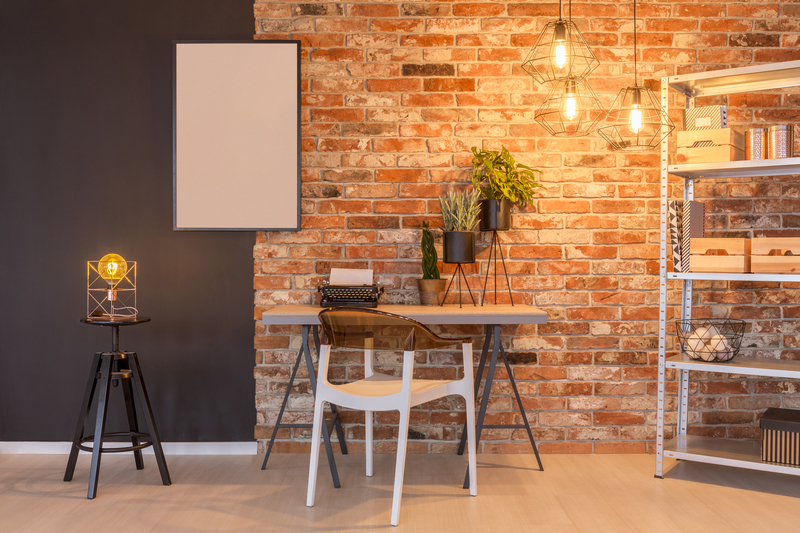 It’s become a wide belief that satisfying our most innate senses is the way to achieve maximum productivity and happiness, with potted plants, nature walls and optimum natural lighting encouraged. In addition to these designs, technology is ever more important in modern day with recent university graduates used to working in modernised spaces. 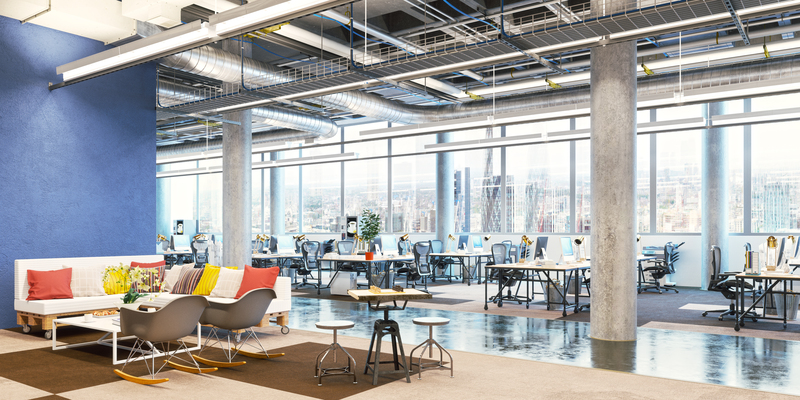 Designing a space which is open, collaborative, modern and which meets the wellbeing needs of the employees is sure to attract the best talent out there.